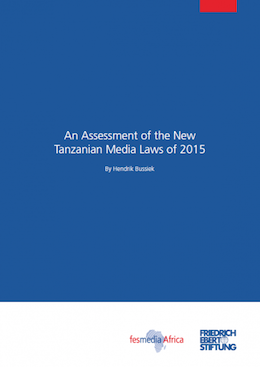 The Government of Tanzania has recently introduced four bills concerning media freedom and media regulation in the country. While two of these acts have already been ratified by parliament (the Cybercrimes Act, 2015 and the Statistics Act, 2013), the other two (The Access to Information Act, 2015 and the Media Services Act, 2015) are expected to pass through the legislative in the course of the coming sessions. The Government of the Republic of Tanzania argues that these four bills are needed to facilitate access to information and regulate the media sector. Its critics argue that those laws entail draconic measures and are going to close down democratic space. The following analysis looks at all four bills against the international benchmarks of media freedom and media regulation. It comes to the conclusion that all four bills contravene African and International Standards on numerous counts and should be rewritten. 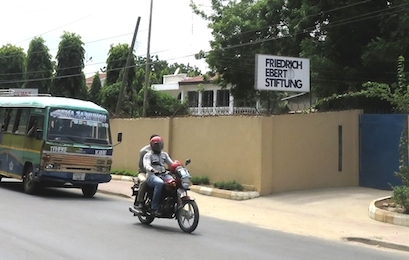 The author is Hendrik Bussiek, Media Consultant and Researcher on Media in Africa for the Open Society Foundations and Friedrich-Ebert-Stiftung; Co-author for the UNESCO Study on “World Trends in Freedom of Expression” (Africa), 2014.